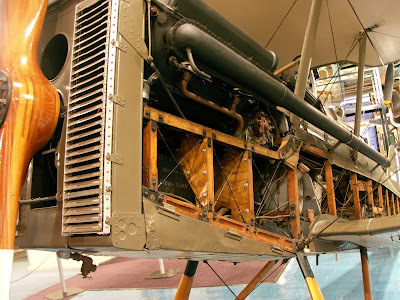 I checked in on the Mavromatic blog the other day and found a couple nice shots of a SE5a model airplane. It reminded me of a visit to Dayton last year when I had a little bit of time to check out the National Museum of the USAF. If you're not familiar with this museum, rest assured that there is nothing dull about this facility. The collection is huge. I was in town over a weekend so I decided to spend an afternoon at the museum. I started in during the early aviation years and made it up to the end of WWII before I started to feel overloaded. I realized that I had seen less than HALF of their collection! One of the many planes on display is an SE5a and I was thrilled to see it! This plane has been fascinating to me partly because it was so different from some of the more iconic fighter planes of WWI. 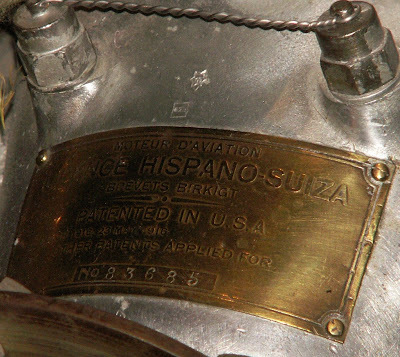 Unlike many planes of this era it had a V style engine rather than a rotary engine. 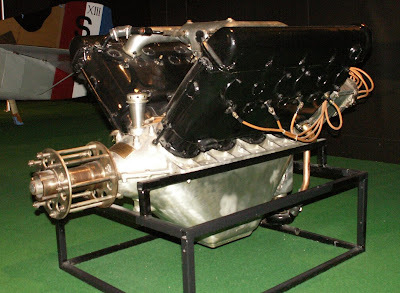 Planes like the Sopwith Camel had a large rotary engine, where the crankshaft was fixed in place and the cylinders rotated around it. This created huge amounts of torque. 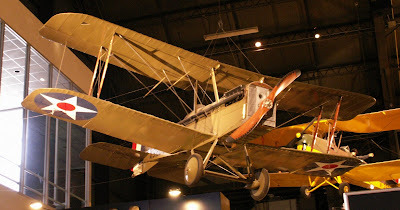 It made the planes quite difficult to fly because you had to constantly fight the twisting motion created by the engine. Of course that torque also meant that these planes could make incredibly quick turns. . . in one direction! The SE5a didn't have the same maneuverability as your rotary engine aircraft but it's high speed made it very effective with the right tactics. The SE5a could outrun any unmodified German fighter of its day and had impressive structural integrity (for it's time) that enabled it to dive at high speed without breaking up. Basically, the SE5a couldn't out-turn most other aircraft, but it could outrun them, attack, and dive away fast enough to avoid pursuit. When used properly it could be highly effective because in a plane like this, a pilot could choose both when to initiate and end an attack.